Five years from now we could be smug, eco-conscious owners of gadgets that charge themselves not from the mains or any other traditional source, but by pulling power from thin air. The Holy Grail of wireless power transmission is currently being studied by, among many others, Nokia at its research HQ in the UK. 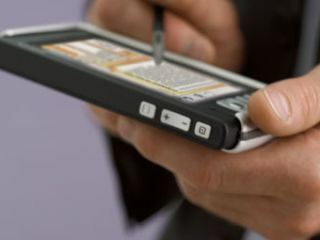 The principle is similar to that used by unpowered RFID tags in travel cards, which momentarily draw power wirelessly from nearby reader/writer terminals. Nokia's prototype mobile phone system uses the same approach to harvest the energy from ambient electromagnetic waves in the air. So far, it has managed to get a phone to pull in 5mW, but it is aiming for the 20mW needed to keep it in standby mode indefinitely. Looking ahead, 50mW will be necessary if the phone is actually to be charged by the technique, something Nokia thinks could happen in the next few years.